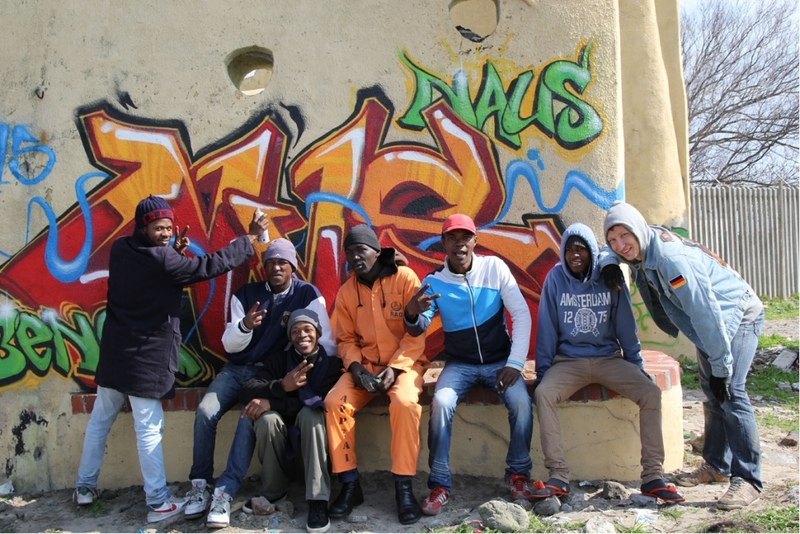 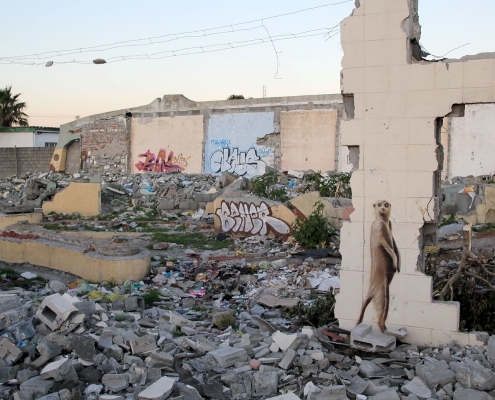 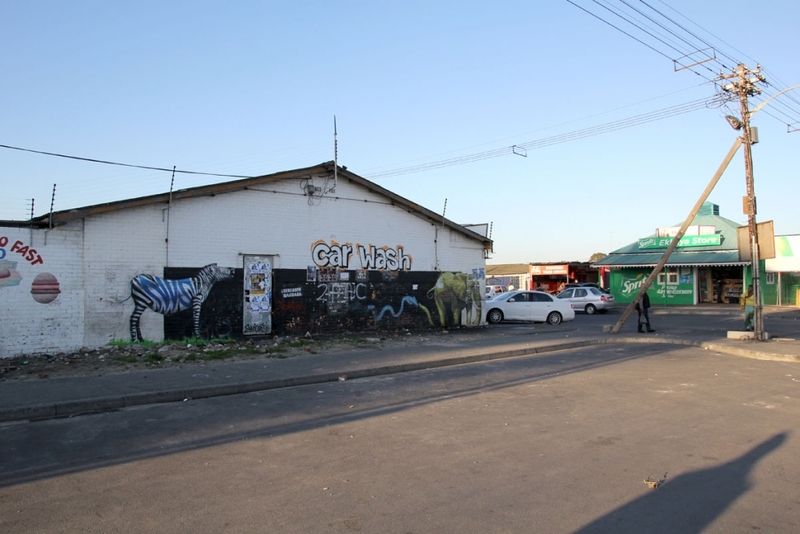 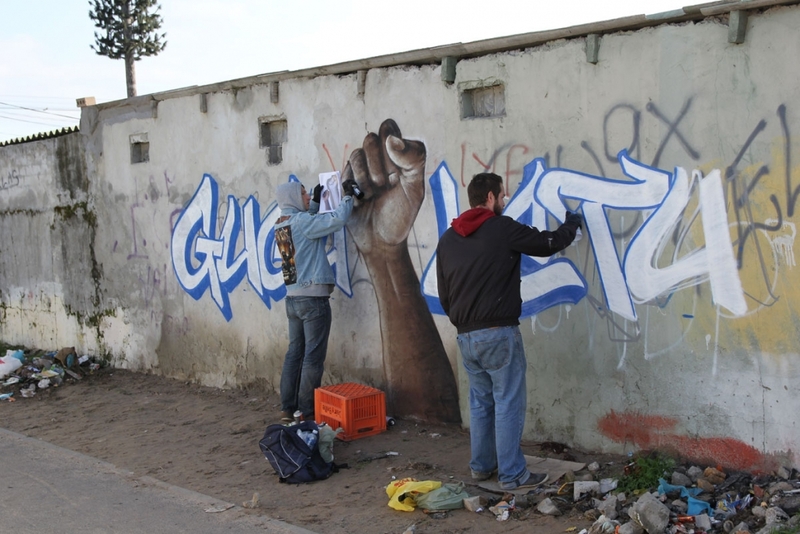 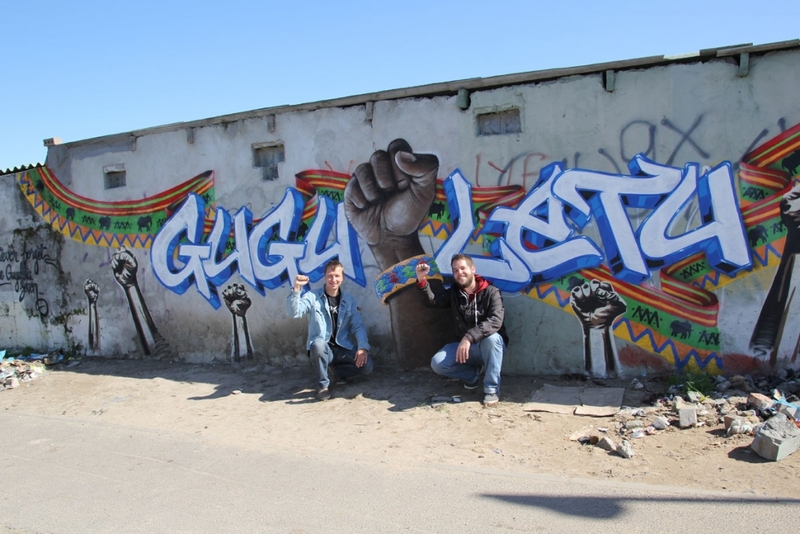 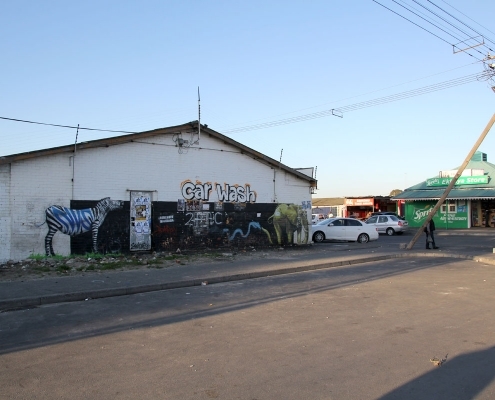 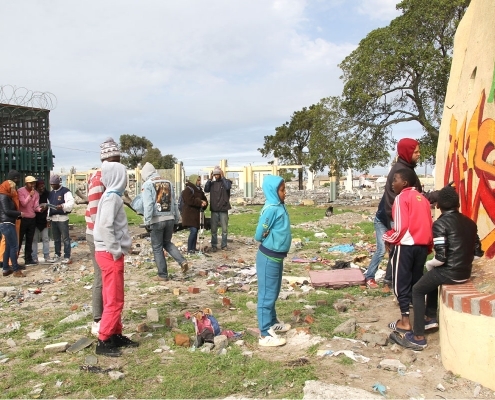 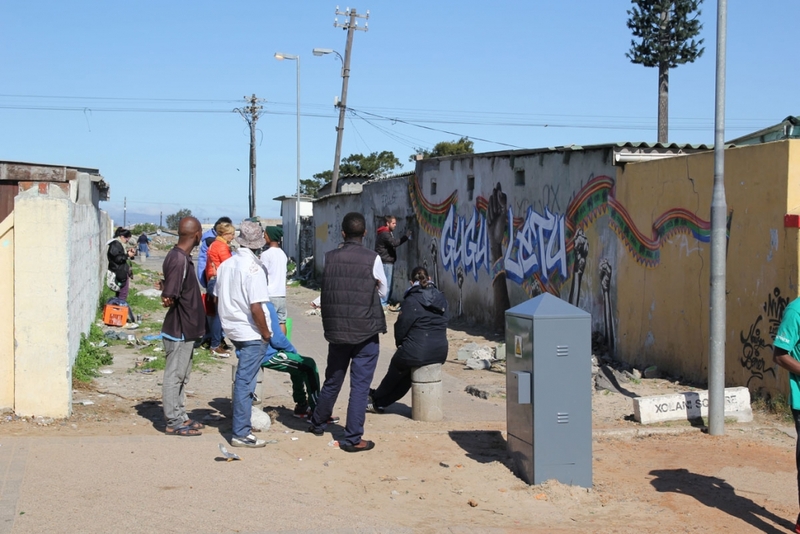 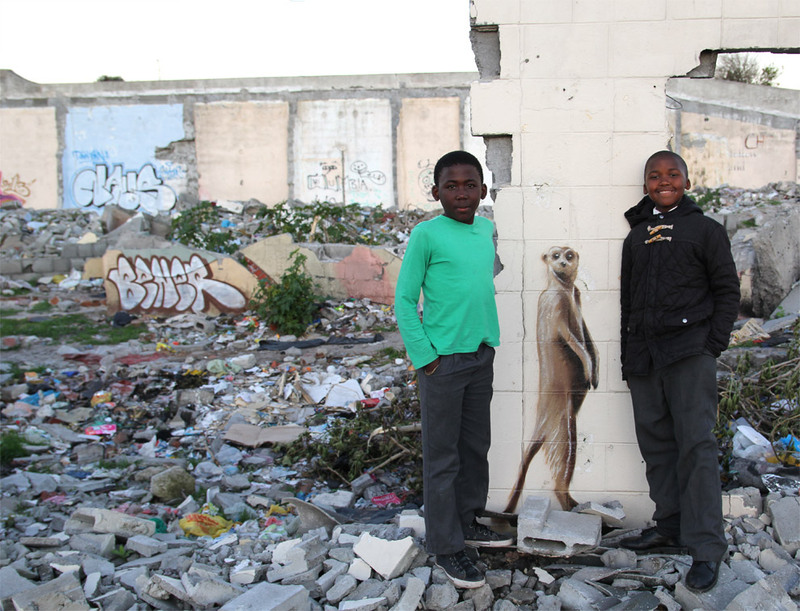 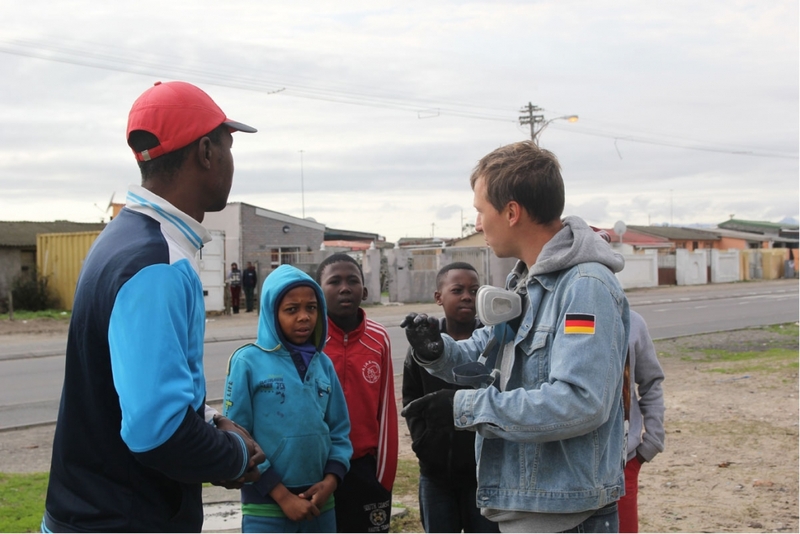 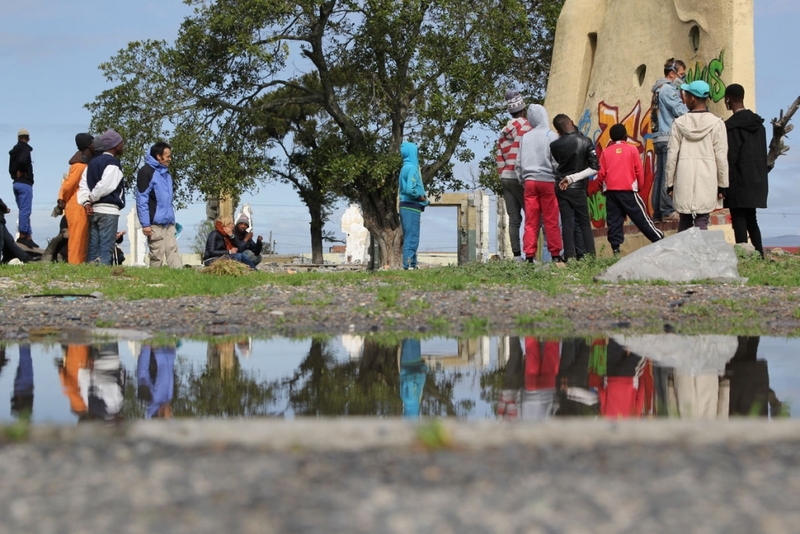 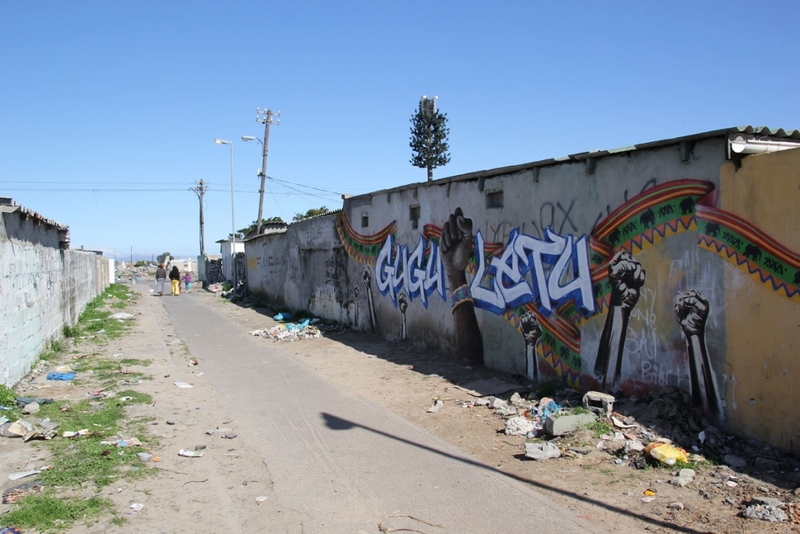 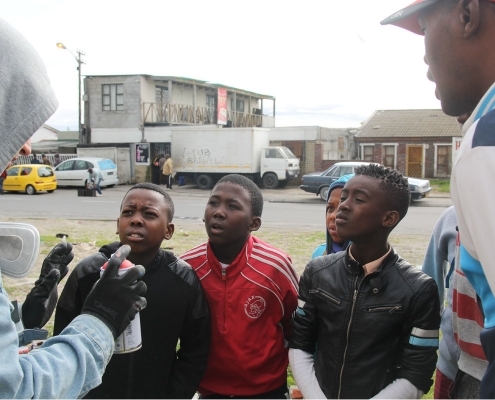 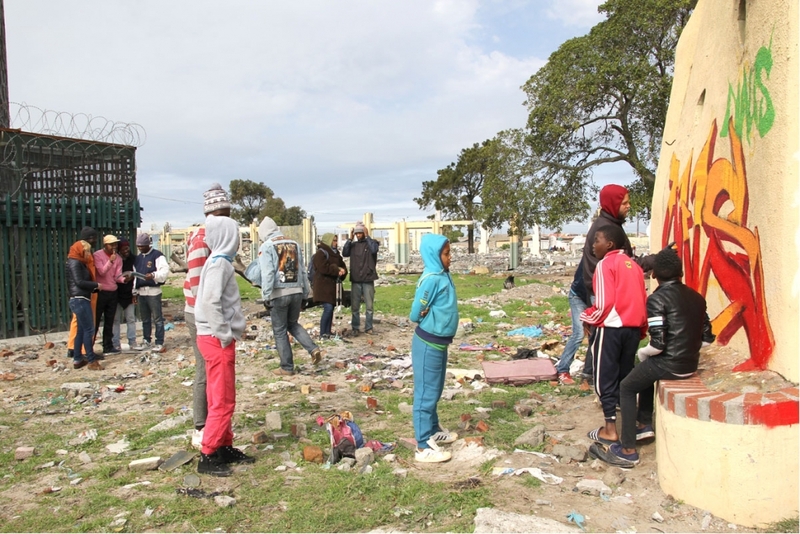 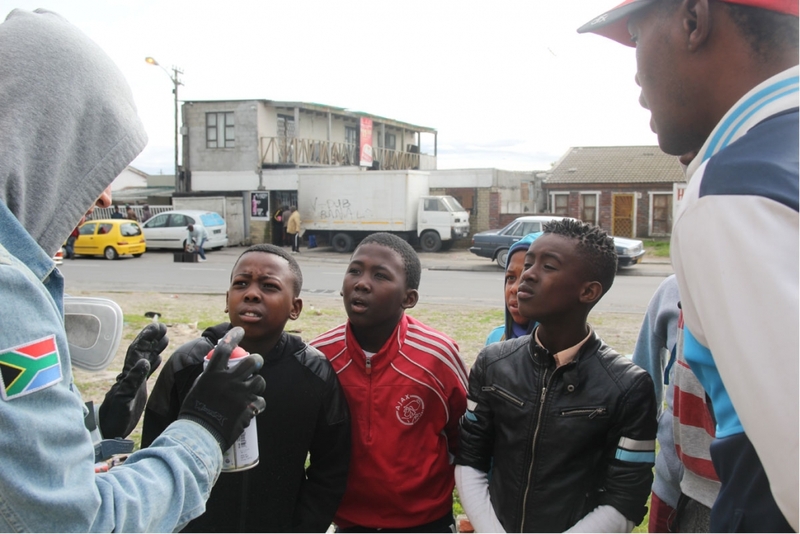 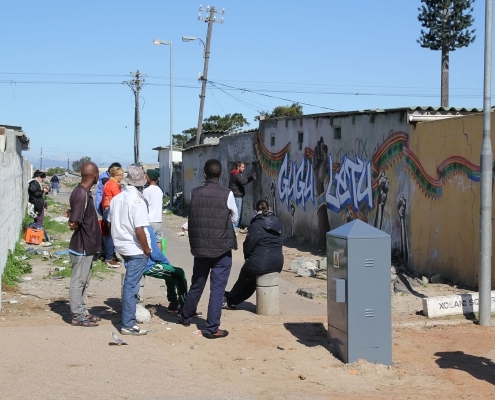 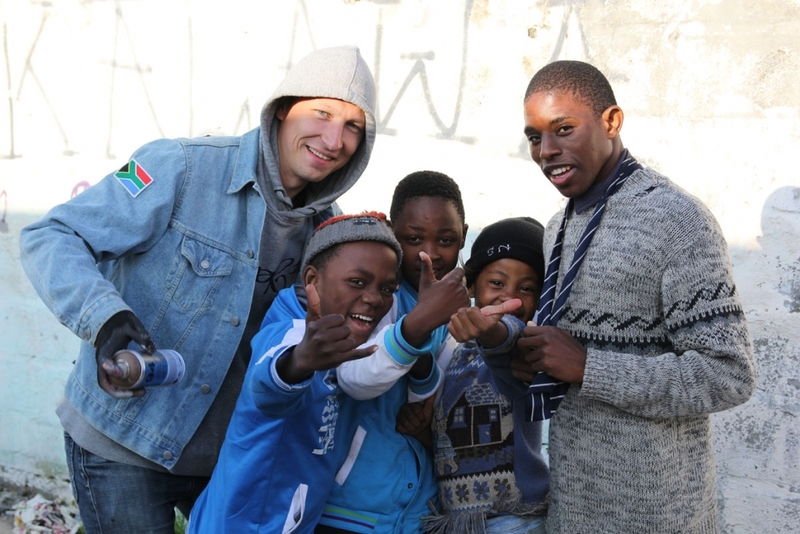 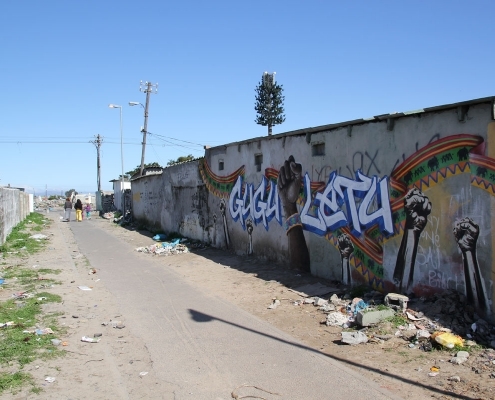 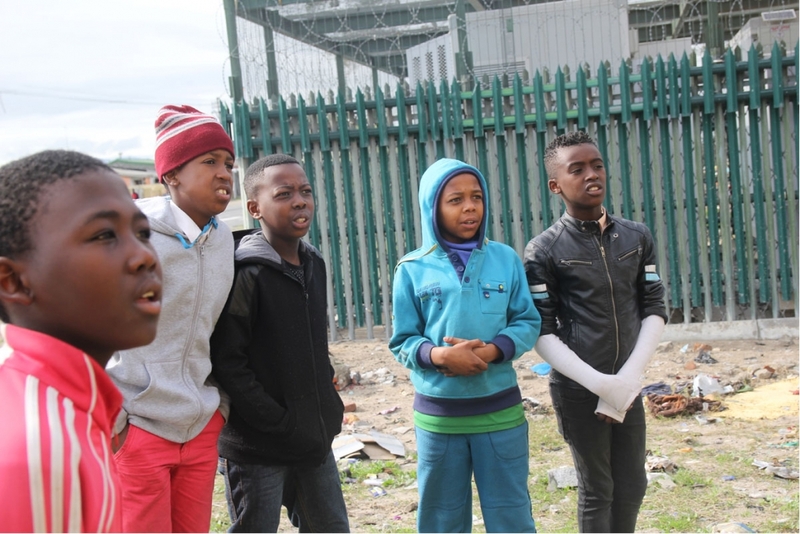 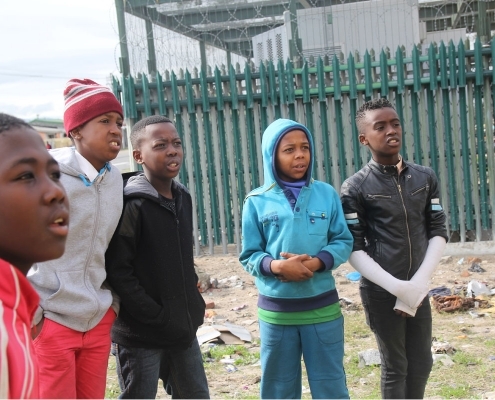 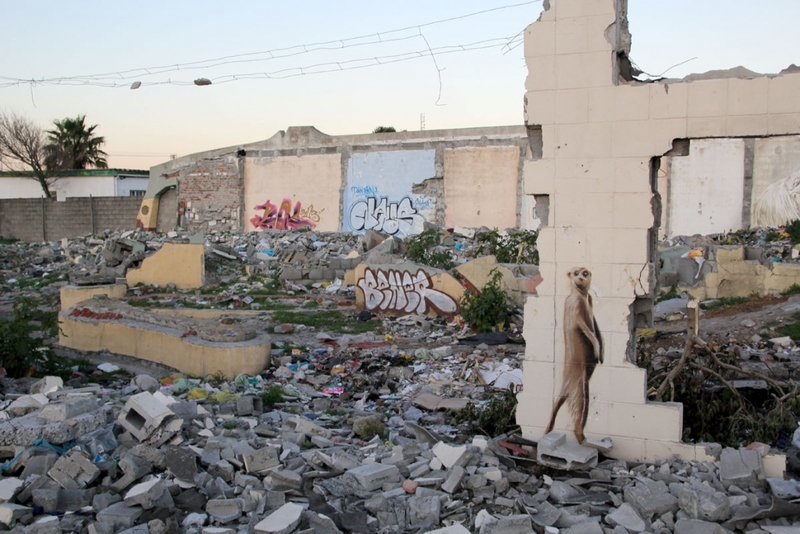 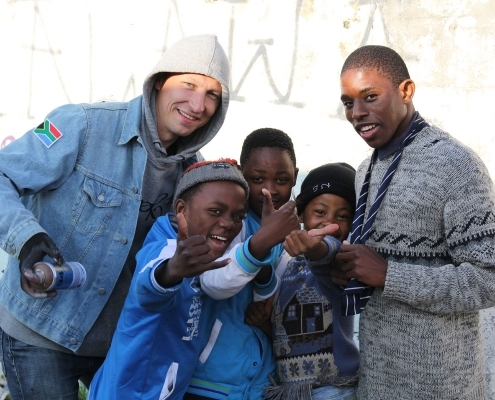 In 2013 BeNeR1 visited the township of Guguletu in Cape Town and was immediately impressed by the people and their positive energy. 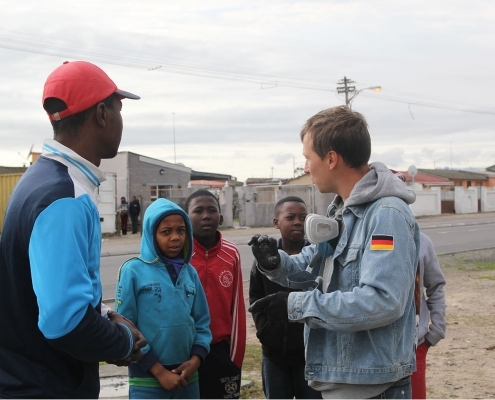 He was taken around by the tour guide Andrew of Liziwe’s Tours. 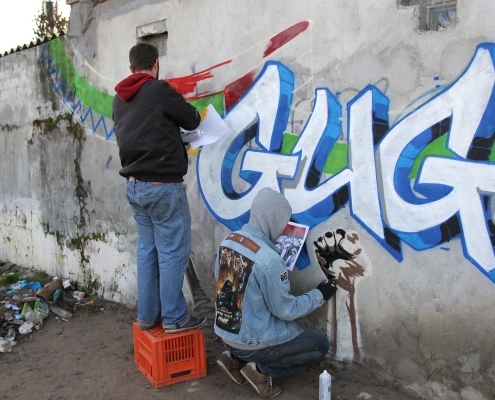 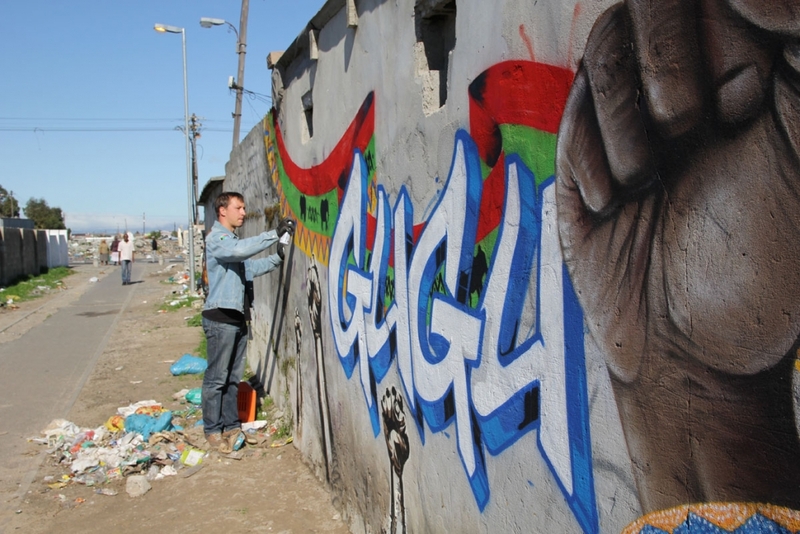 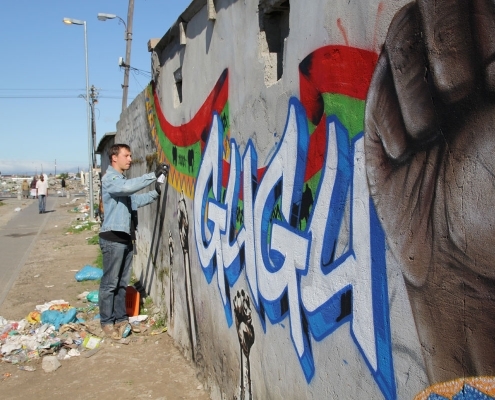 While taking the tour they chatted about art and BeNeR said he would like to paint in the streets of Guguletu one day. 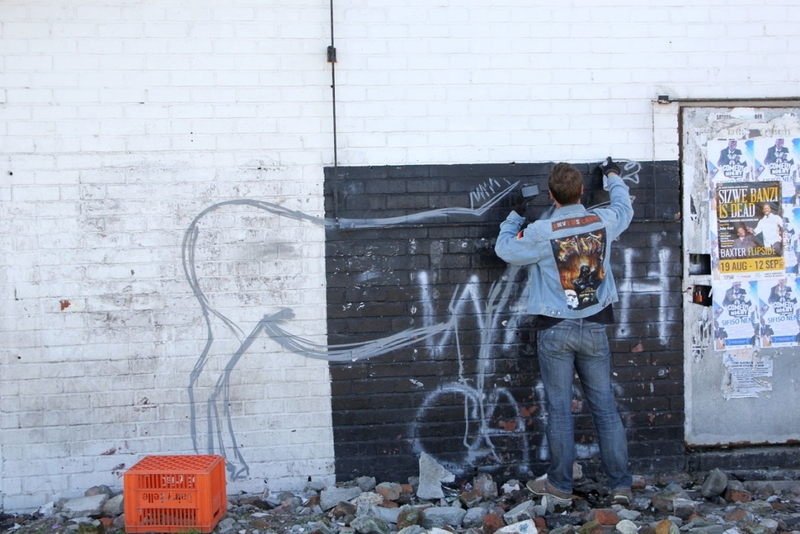 Andrew was hooked by this idea and so the idea for this project was born. 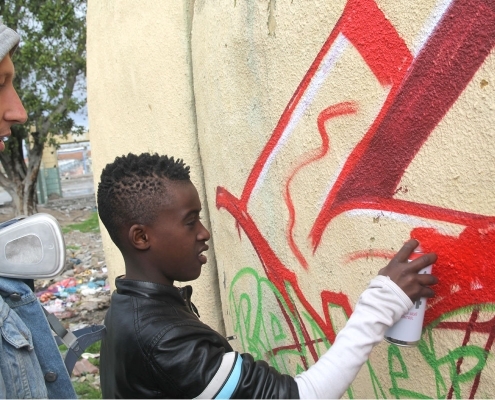 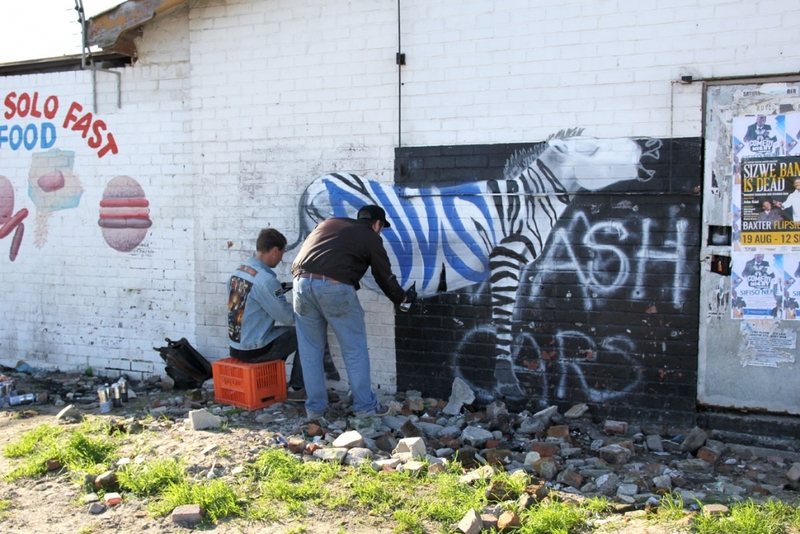 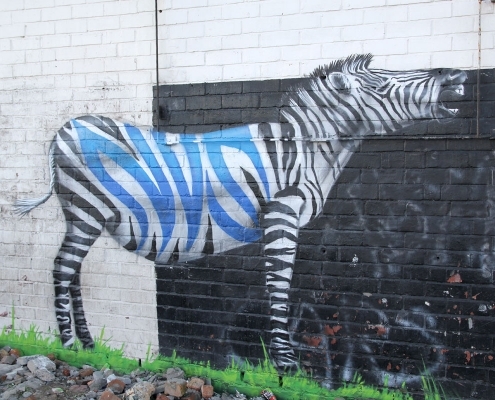 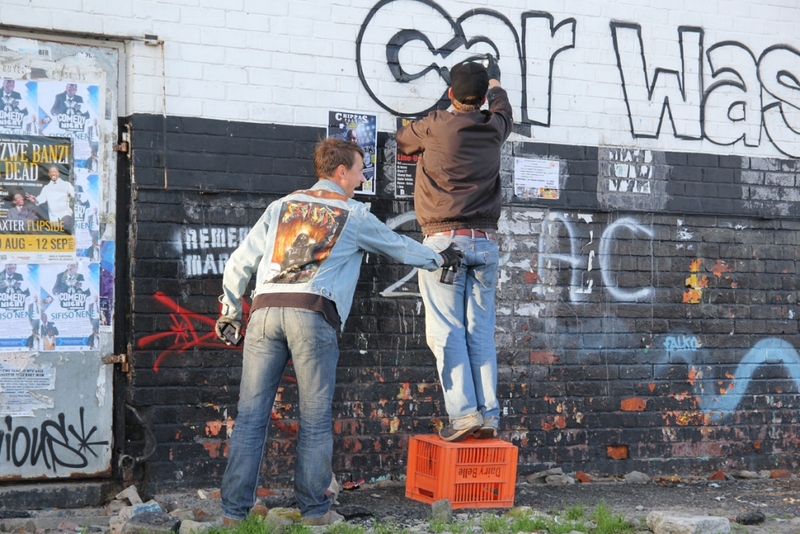 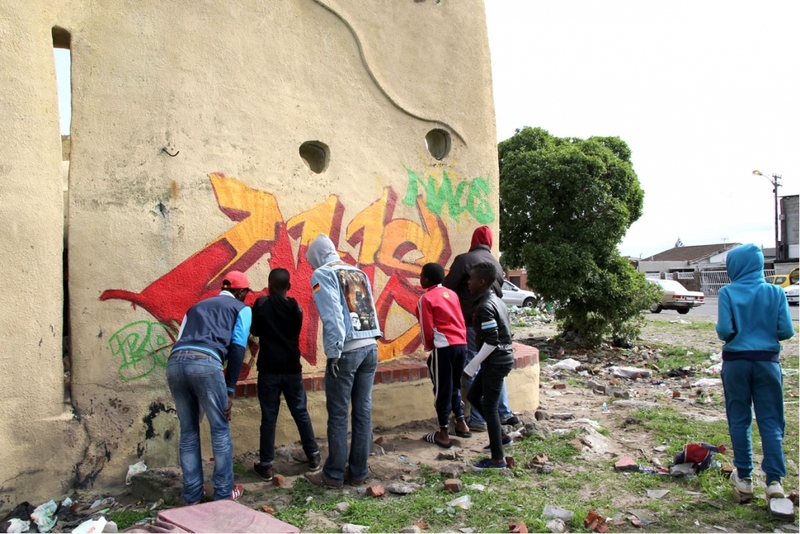 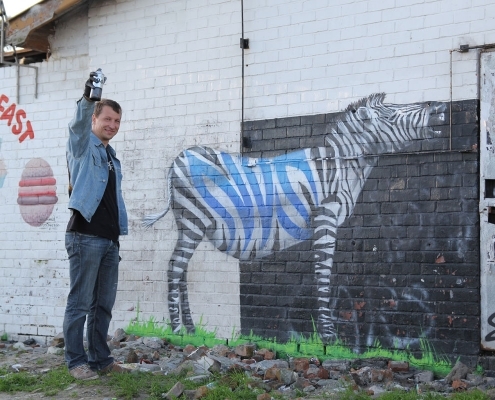 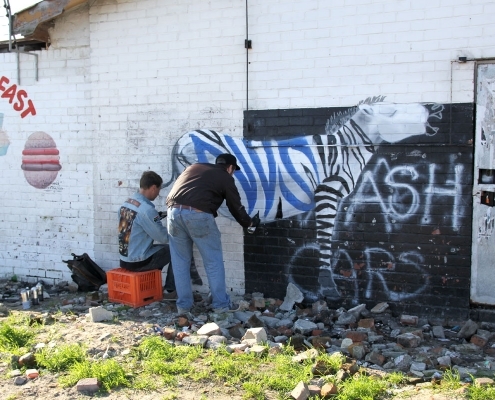 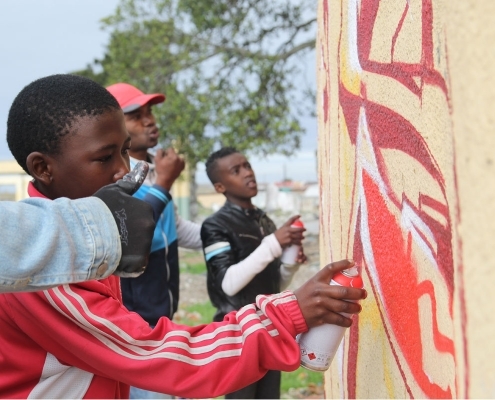 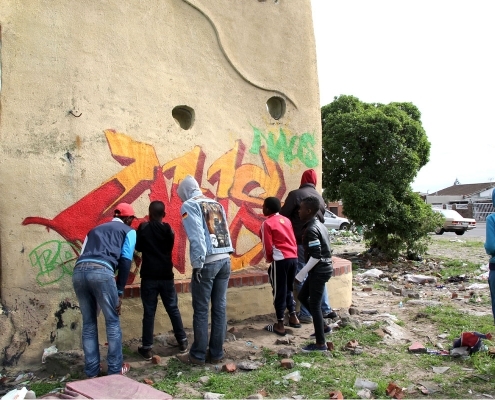 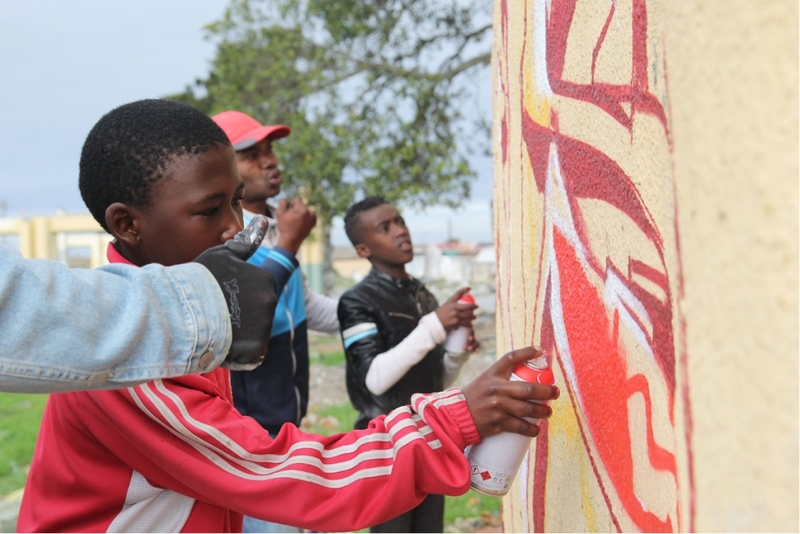 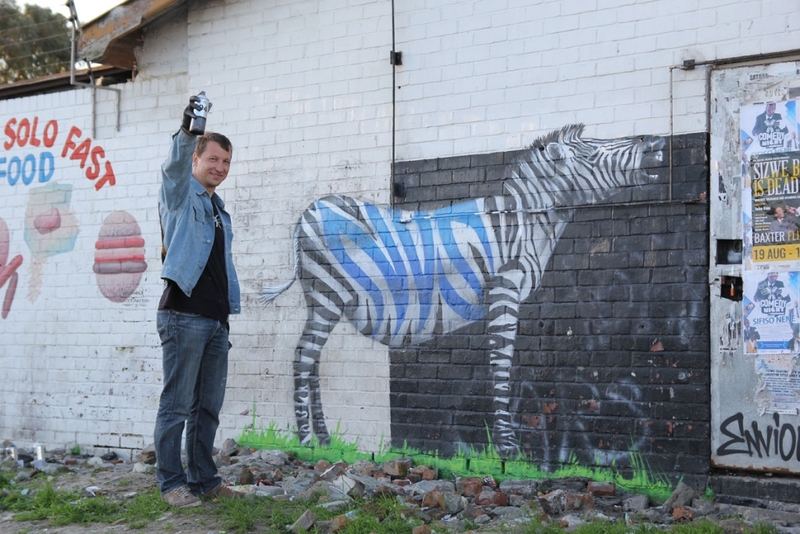 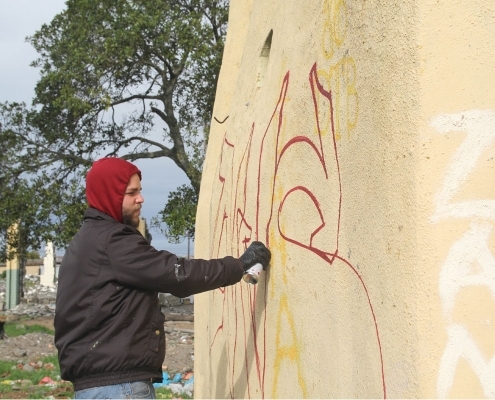 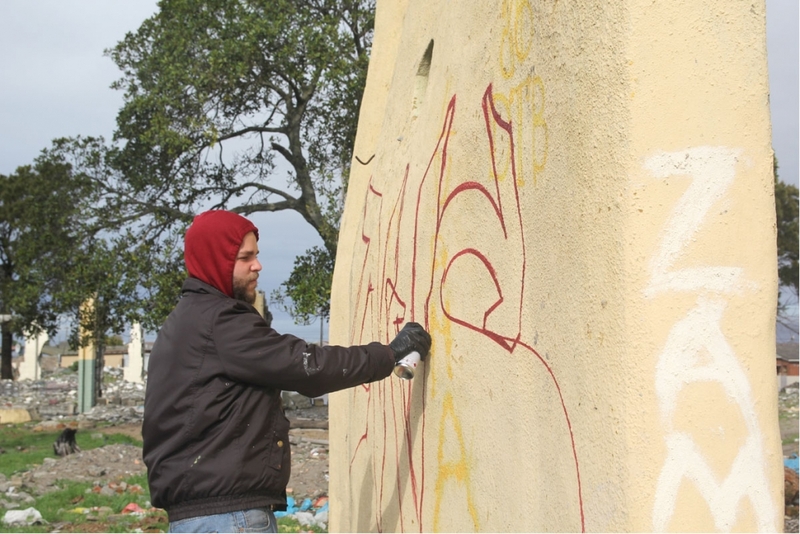 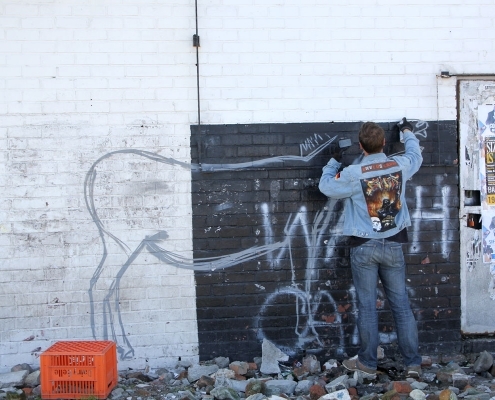 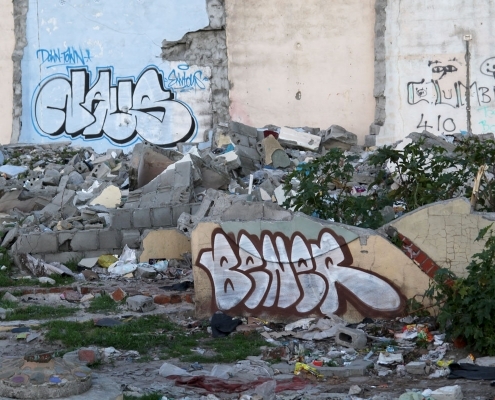 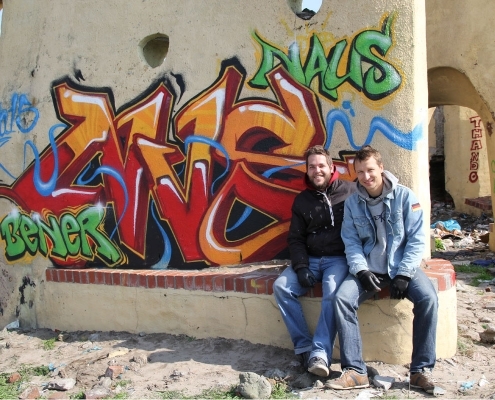 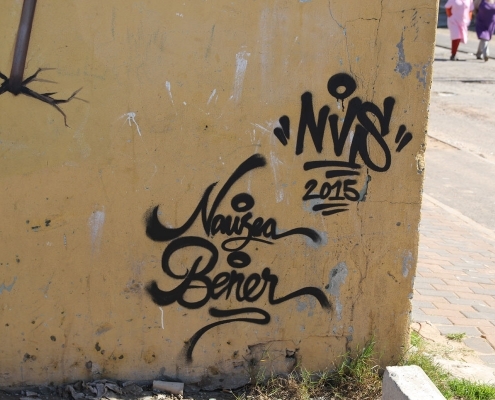 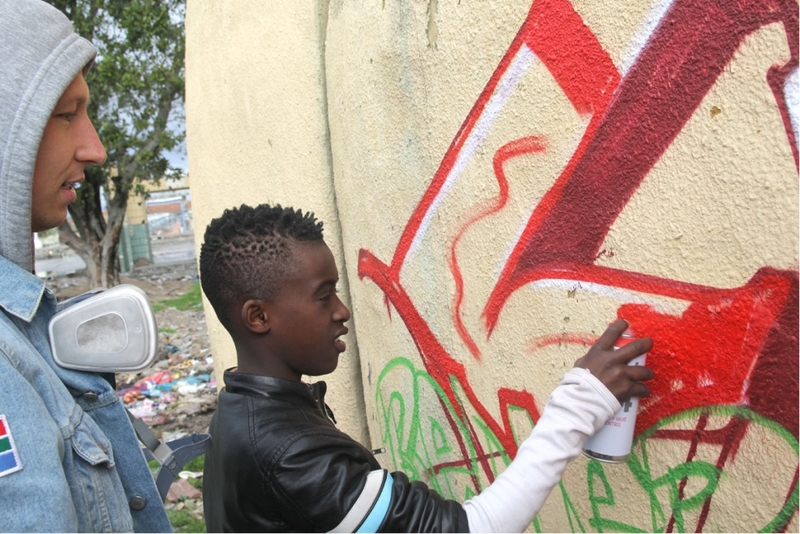 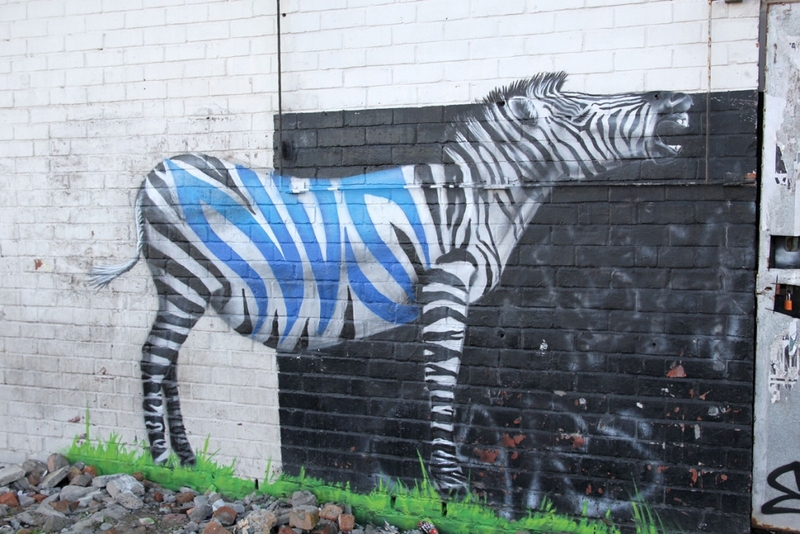 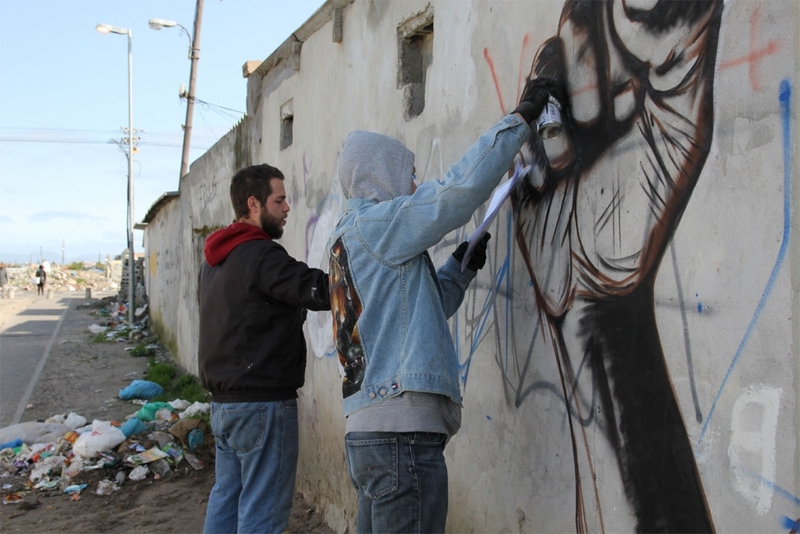 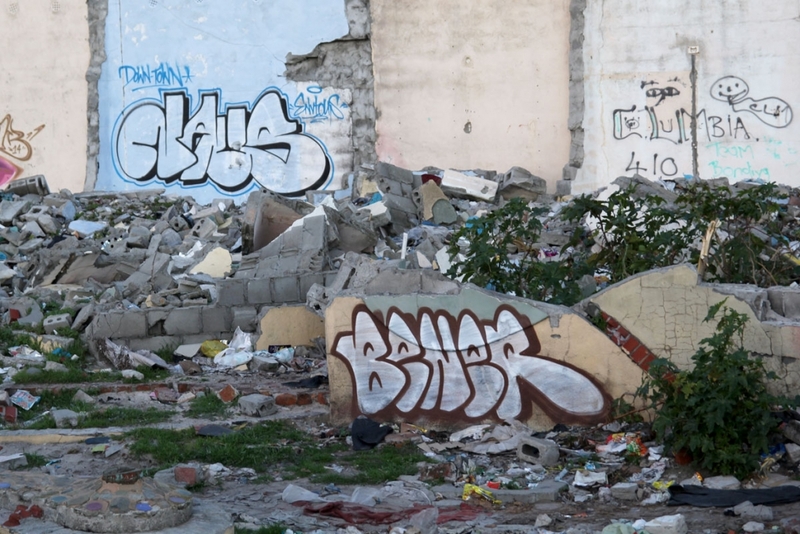 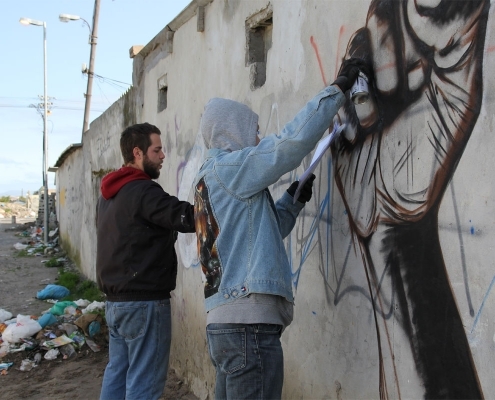 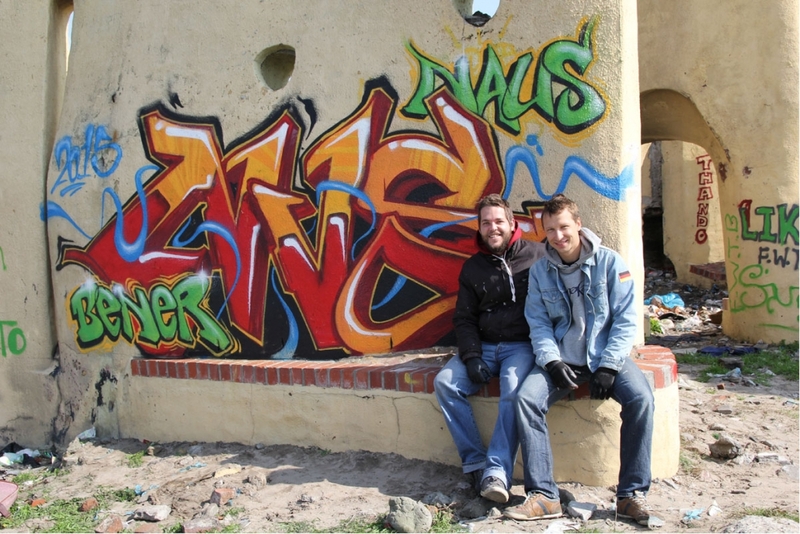 Part of BeNeR’s work in Germany is to teach young people about the history of graffiti and how to handle a spray can and to paint graffiti letters. 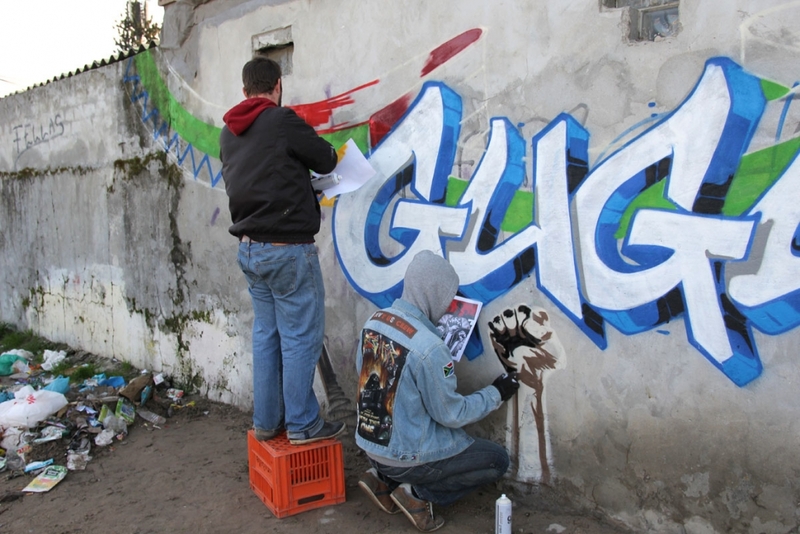 As the children in Guguletu were so curious and open minded during his visit, he thought it would be even greater to take my experience in workshops and give something back to this community. 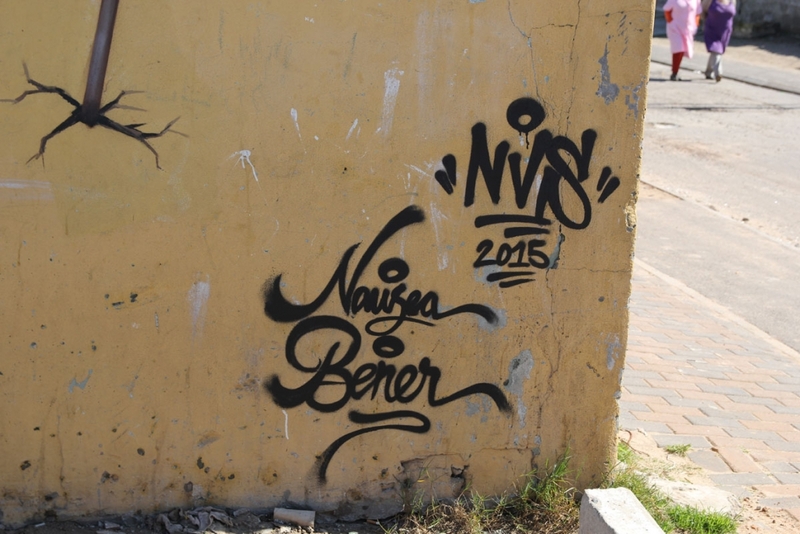 He told Naus about his plans and he was hooked to join. 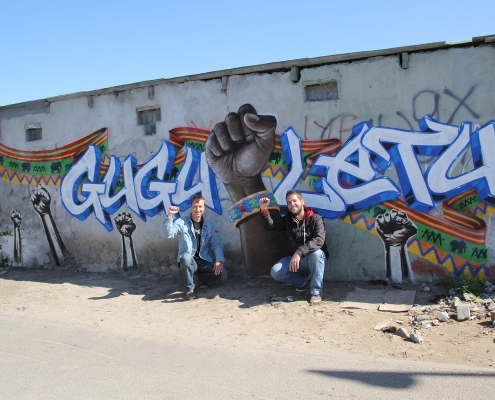 They wanted to paint something meanigful and FOR the people. 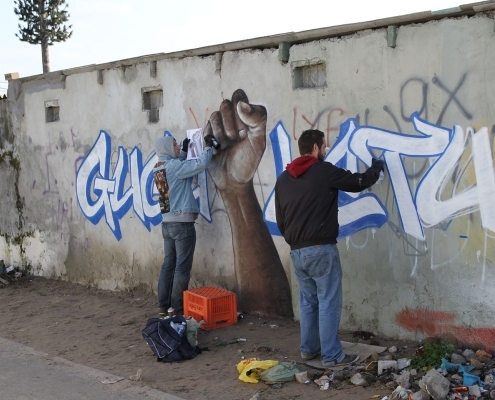 They came up with a concept that evokes the killed freedom fighters and their battle against the apartheit. 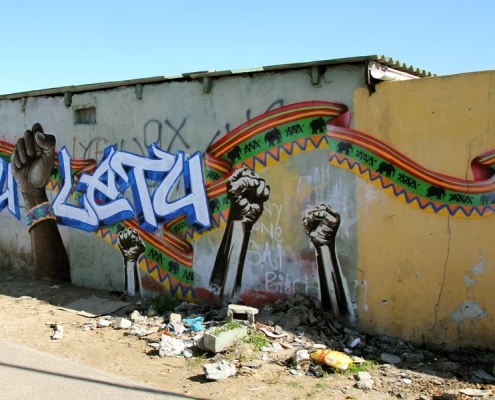 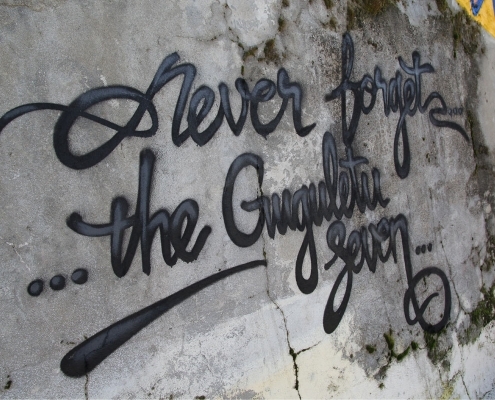 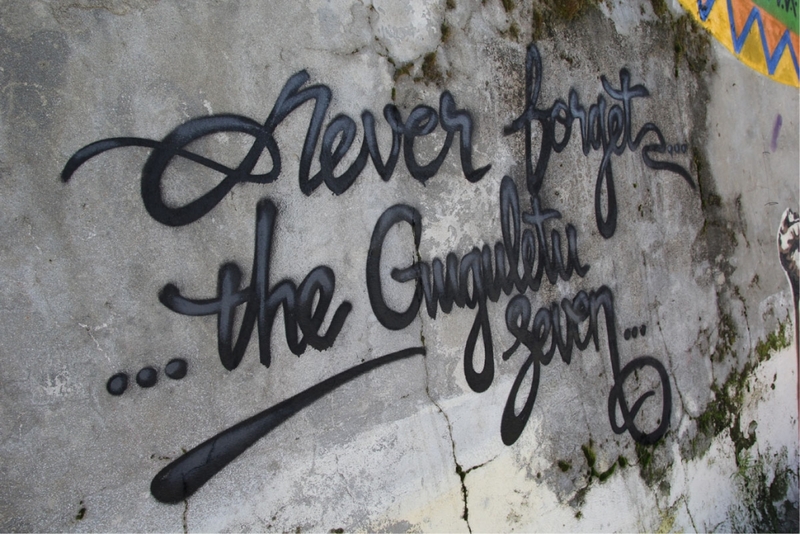 „(i)gugu lethu“ means „our pride“ in Xhosa.